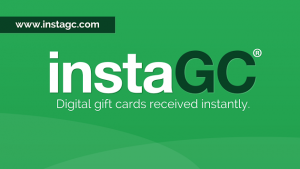 InstaGC is one of the most popular ways to earn gift cards online right now. 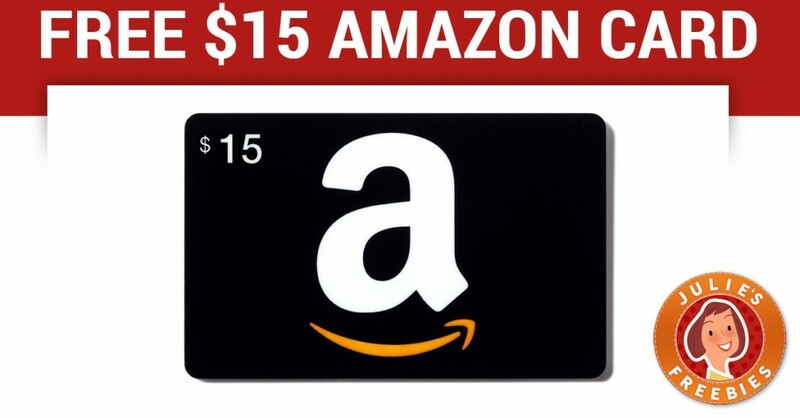 You can cash out with just $1.00 in your account and they have tons of places you can get gift cards to, including Amazon! 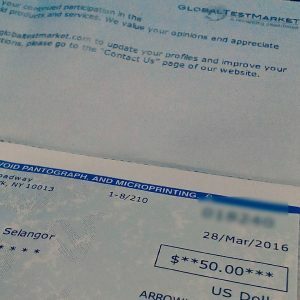 I spent a few days earning with InstaGC and asked my readers for some of their tips for earning on this site, below is what I learned. If you have anything to add, please add it in the comments or message me so I can update this post. Watch the Ticker – this is where they show others earning points and it will show you how they earned them. This is a great area to watch to see what others are doing to earn points. You can move this section around on the desktop, I actually placed mine on the top right hand corner of the page and expanded it so that I could see more offers and keep a better eye on the InstaGC Ticker. Live Sample Survey I and II – This one can be found by searching for “Live Sample Survey” under Earn > Recommended > InstaGC. Each one pays 105 points and you can do them daily which means that is an easy 210 points per day. Ages – InstaGC is open to ages 18 and up or 13 and up with your parents permission. Referrals – On InstaGC you can refer friends, with each friend you refer you will earn 10 points (10 cents) plus 10% of all of your friends earnings for life. Payout – Payouts are fast on InstaGC, and that is what makes it so popular. In addition you can cash out as little as 100 points ($1.00). 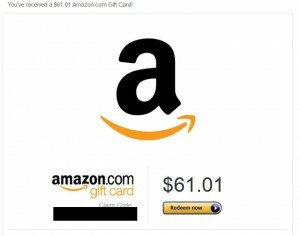 You can also get Paypal Cash Rewards but you must cash out $50 in gift cards before that option is available. Direct Deposit is also available. Calls – With this type of offer you will need to make and complete a call at a number that they give you. This is probably the type of offer that most people are not going to feel comfortable with, but they pay well. Each call is different, but usually you will have to stay on the phone for a specified amount of time to get credit. Clicks – This is probably the easiest way to earn points. When you do a click offer you simply click on a website, stay on there for a few seconds to check out the offer and then you get points. Offers – In this section you will find offers that you complete for points. This is where you will find the surveys and you will also find things like downloading software or apps here. Shopping – In this section you can find stores that you can do your online shopping at to earn points. There is a wide range of stores available in this section. Tasks – This is a section where you can earn points for tasks. As of right now there are things like following InstaGC on Twitter and other tasks like that to get extra points. Trials – This section has offers where you can sign up for trials and the like. There is also an offer in this section right now where you can sign up for a Target RED card (debit or credit) and you get 300 points. In addition, the Target RED card can save you money at Target, so that one is worth it. Videos – In this section you can find offers that will give you points for watching videos. Some videos can be watched multiple time. Radio Royalty – This one can be found under Earn > Recommended > Radio Royalty. With this one you listen to the radio (you can have it running in the background) and every 30 minutes you enter a CAPTCHA, you earn 3 points per 30 minutes you listen to it. Watching Videos – There are several places to earn by watching videos, but if you got to Earn > Watch Videos you can earn 1 point for every 5 videos that you watch. 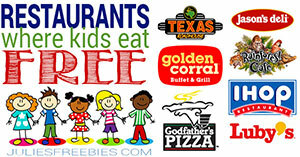 Surveys – You can get to surveys by going to Earn > Recommended and click Offers. You can select a provider like InstaGC and do surveys. If you get disqualified you can still earn a point for the first 5 of them that you are disqualified for. Offer Toro – This section has videos as well as 1 click ads. The one click ads are probably the easiest, you click on an ad, look over it for a few sections and get points for that. Peanut Labs – There are different offer types on the Peanut Labs section. You can watch videos for points or they have surveys that you can take and earn points. This section seems to have some good paying offers and surveys. Your Surveys – For this one you will go to Earn > Recommended > InstaGC and do a search for “your surveys” and you can do these until there are no more. I think these reset weekly. Volume11 – In this section you can watch videos or check out content until the points max out. The videos or content will pop up in a new window and then you can go back to your InstaGC portal and see how long you need to keep that page open to earn your points.. Once you earn your points you can exit out. HyperMX – This section is set up basically the same as Volume11 above. You enter a few details about yourself so that they can serve up content. You have to stay on the content or videos that pop up for a certain amount of time and then you get your points. Sign up for emails and LIKE InstaGC on Facebook. They send out free codes and point you to easy offers to earn! Find the most completed offers – these are going to be the offers that most people do, which means usually they are a good way to earn some points. You can find most completed offers by going to Earn > Recommended and then next to categories click the x on newest (was that way on mine away) and then sort by most completed. Want to start earning gift cards? Sign up with Harris Poll, confirm your email (must do this) then log in and start taking surveys. 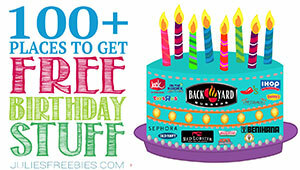 You will earn points that can be redeemed for gift cards from Amazon, iTunes, Walmart, Home Depot and MORE! There is a company I just came across called Smart Panel and they will pay you to install their app on your phone (for real). 1) Click through this link to get the app. It isn’t in the app store so you will have to download it from them directly. 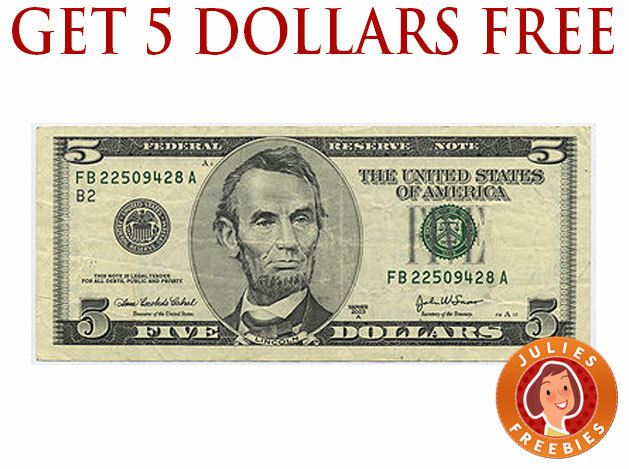 2) Once you sign up and are qualified, they will pay you $5. If you keep the app installed for 2 weeks you will get another $10. They will then pay you $5 per month that you keep it installed so in a year you could earn $110. If you cash out around Christmas time this year, you should have about $90 in there. they pay out via Amazon Gift Card or Paypal. 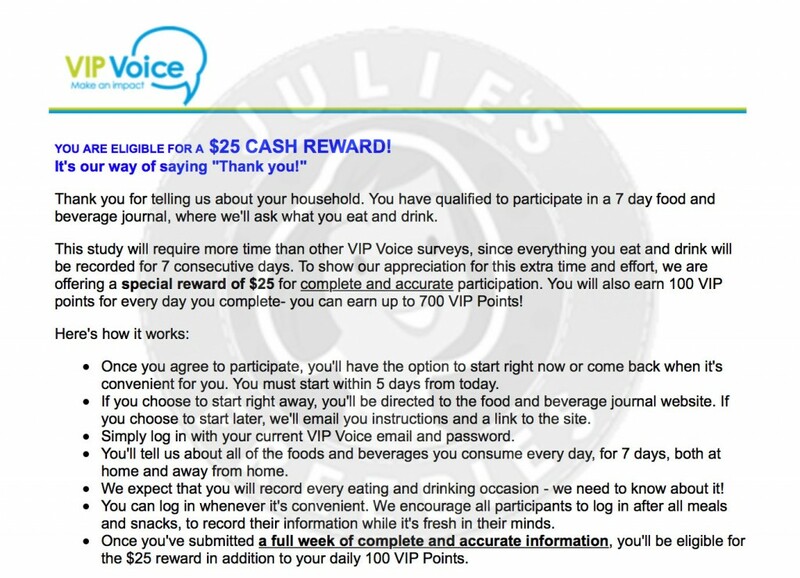 Sign up with VIP Voice, right now they are sending out surveys that get you $25 for completing a food journal. It doesn’t pop up immediately, but do some surveys and after a few it should come up with the offer. It came up for me in 2 days after doing about 4 or 5 surveys. It doesn’t take long, and $25 is $25! Want to make some extra money? Have some stuff you need to sell but don’t want the hassle of selling it yourself? eBay has now introduced eBay Valet where they will sell your stuff for you! Order your FREE shipping label to get your stuff picked up below! The valet selling service is a new and simple way to sell your stuff on eBay. Valets sell your items on your behalf. It’s FREE to sign up! They send you a FREE Shipping label to pick up your items, and if your items don’t sell, they will ship back your unsold items! SO EASY! Sign up to see if you qualify for Smart Panel, if you do and you install their app on your phone and leave it installed for a week, you will get $15 in rewards to cash out. For every month you keep it installed you get another $5 in rewards. Pinecone Research is one of the top consumer panel companies around and they are recruiting new panelists. 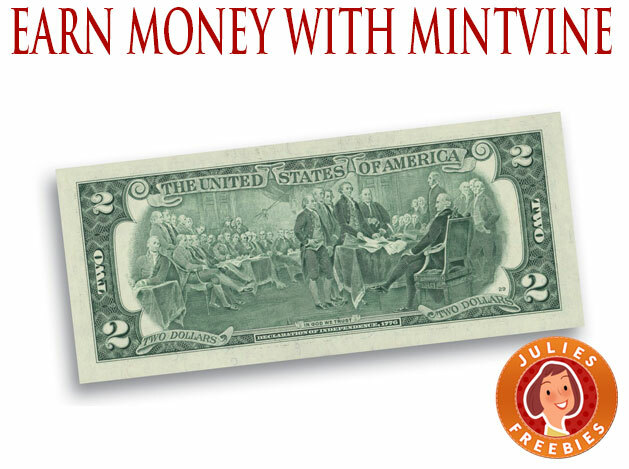 You can earn up to $3 per survey with this one, it won’t make you rich, but you can earn some extra cash! 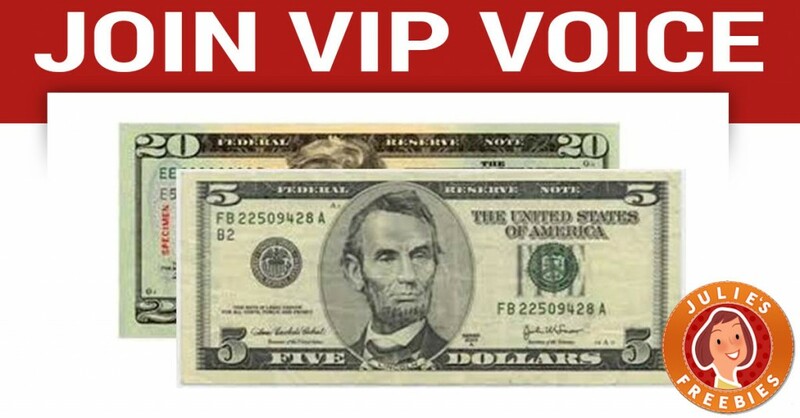 Here is an offer from iPoll where you can get $5 just for signing up. This site is pretty straight forward to use. Gives you a sign up bonus and tells you in dollars how much each survey is worth. Here is a legitimate company that you can make money with. Surveys with this one seem pretty easy to come by and aren’t really difficult. Spend a little bit of time on this each day and you could easily earn some extra money.